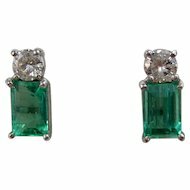 What fabulous, magnificent emerald & diamond earrings these are! 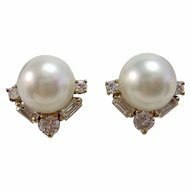 Whatever the occasion, you will love wearing them from breakfast to ballrooms! 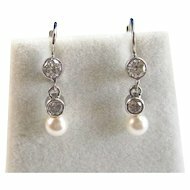 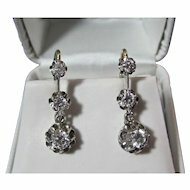 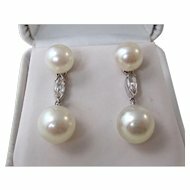 If you are a bride, these would be the most perfect wedding day earrings if you are a bride or the mother of the bride. 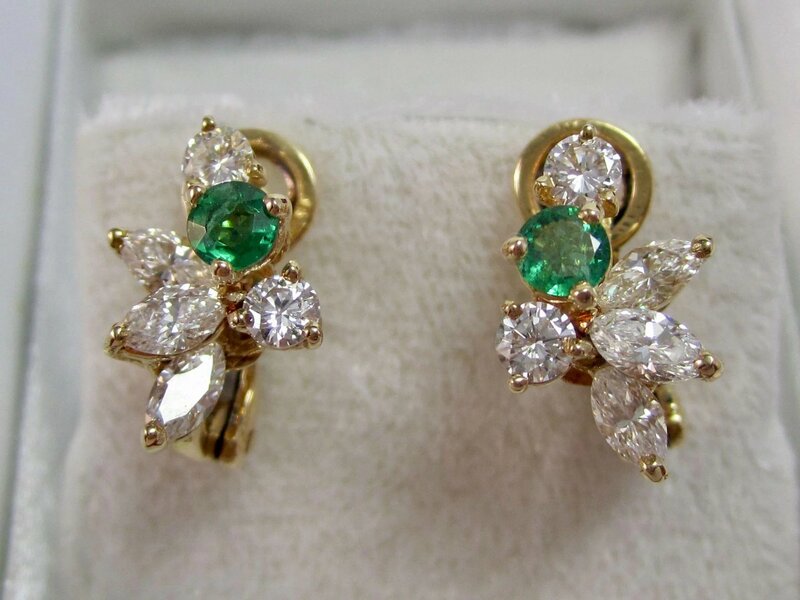 Their gorgeous near colorless fiery white diamonds with exquisite, vibrant, matchless emeralds in a floral setting will make you feel like a royal bride on your special day. 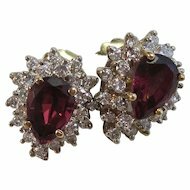 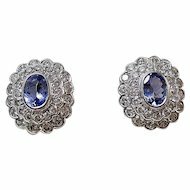 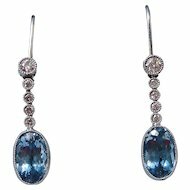 These are stunning earrings to be treasured for a lifetime! 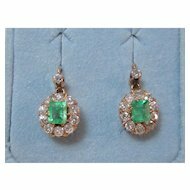 There are two prong set round modified brilliant cut natural emeralds, weighing approximately 36/100 of a carat, with moderately strong saturation, medium dark, very slightly blueish green color, with slightly included clarity as with all emeralds. 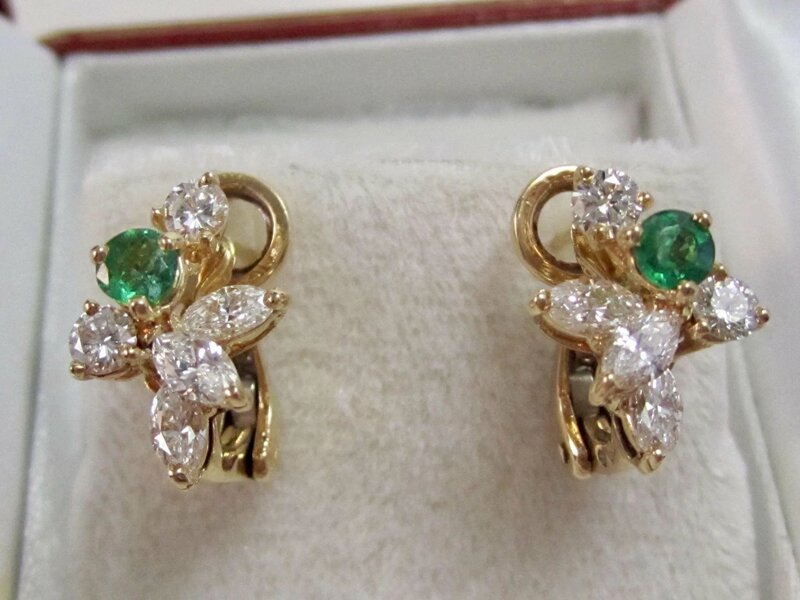 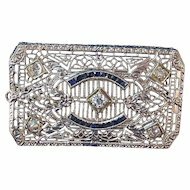 The emeralds are set as a flower in the midst of sparkling bright white diamond petals or leaves. 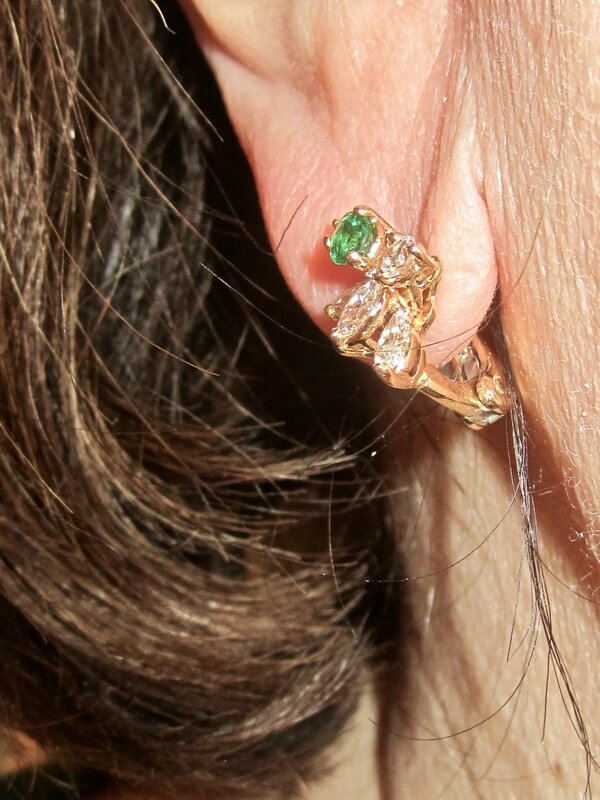 Very brilliant, beautiful bright green stones! 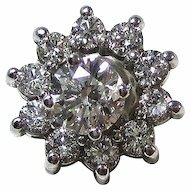 There are four prong set round brilliant cut diamonds weighing approximately 46/100 of a carat and six prong set marquise shaped diamonds weighing approximately 62/100 of a carat. 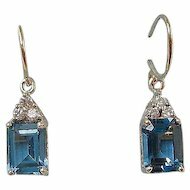 These are very brilliant diamonds!The total diamond weight is 1.08 carats. 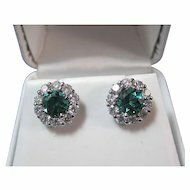 The diamonds have gorgeous near colorless G-H color, with bright sparkling VS2-SI1 clarity, with a very good cut. 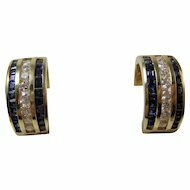 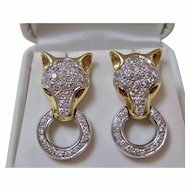 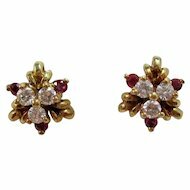 The earrings are set in a stamped & tested luxurious 18K yellow gold mounting, meaning they have 75% fineness of pure gold. 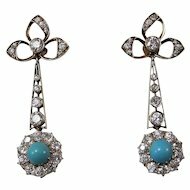 The earrings measure 9/16ths of an inch from top to bottom and 3/8ths of an inch from east to west. 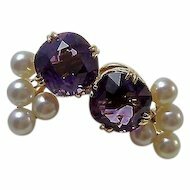 The total piece weighs 5.61 grams.